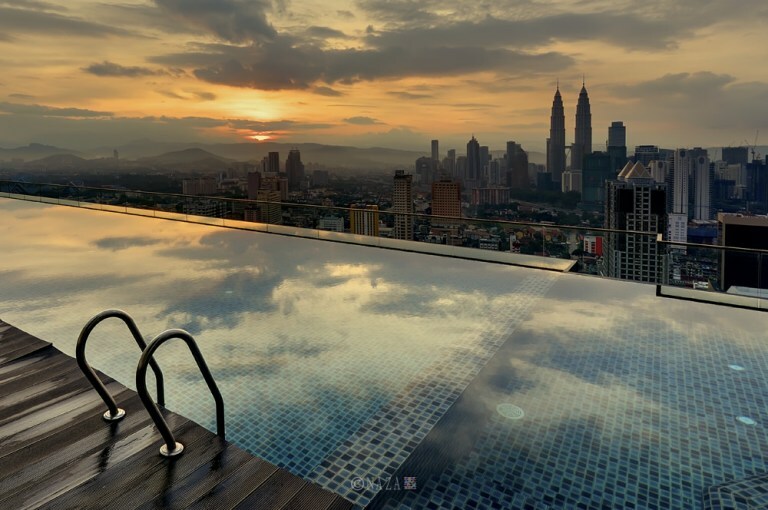 Why swim in an ordinary pool when you can head to one that gives you a view. Taking a dip in a rooftop infinity pool is one way that you can have a bird’s eye view of the city without paying a phenomenal price. 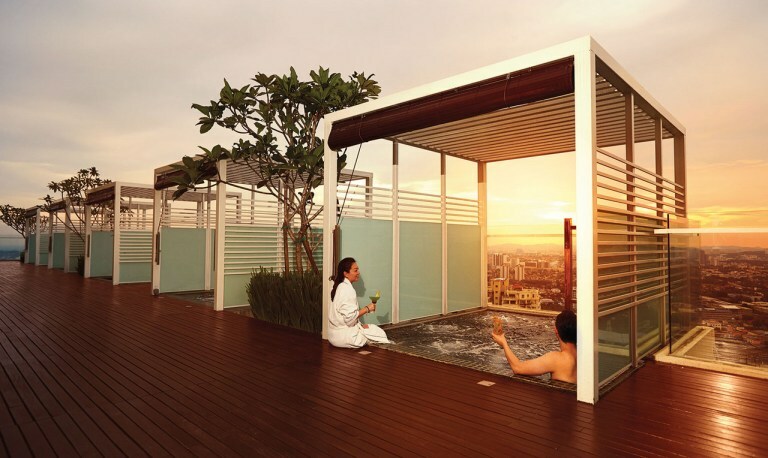 Splash is Aloft’s version of an infinity pool and it’s not just a place for you to wade around. It’s also equipped with WiFi. That way, busy bees who have to catch up on their emails can do so poolside. 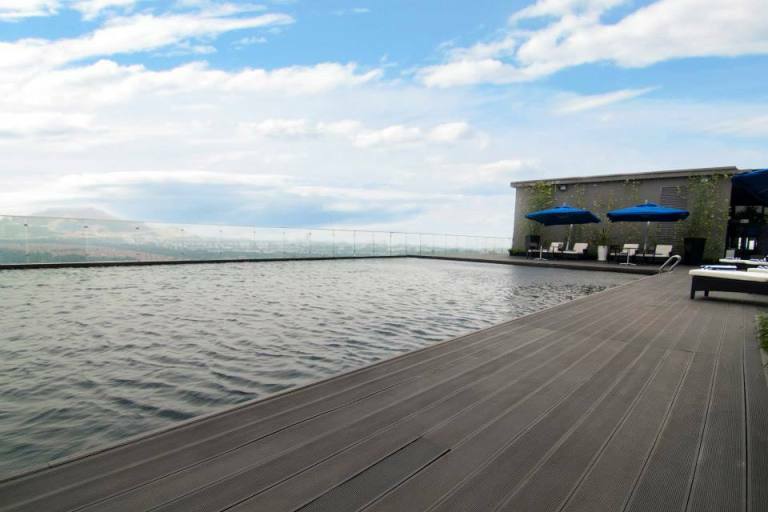 This infinity pool has a maximum depth of 4m and a minimum depth of 1.2m. It is open to Aloft guests from 6am-11pm daily. Address: No 5 Jalan Stesen Sentral, Kuala Lumpur Sentral, 50470 Kuala Lumpur, Malaysia. 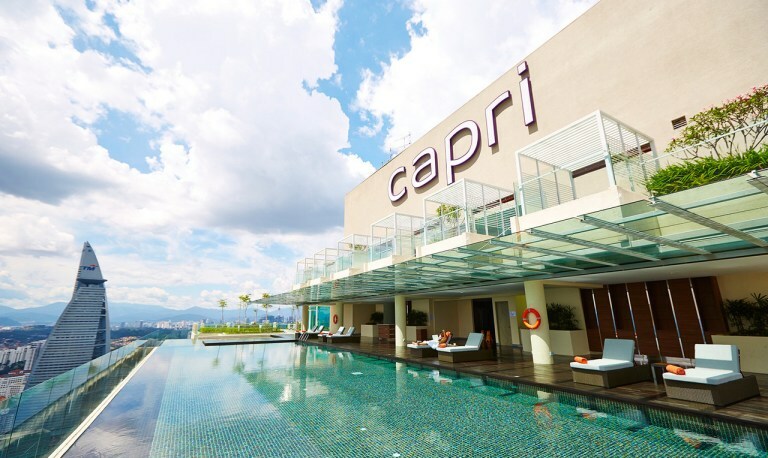 Past guests have raved about how the view from the Capri rooftop is stunning and it’s easy to see why. Imagine watching sunsets from that height while being chest-high in blue waters. Capri by Fraser’s infinity pool is one worth visiting simply for that reason alone. D’Majestic Place truly lives up to its name. Not only does this hotel have an infinity pool, it has a host of other facilities too. This includes a jacuzzi, sunbathing pool deck and a rooftop gymnasium. The infinity pool though is the clear star of D’Majestic Place as not many hotels have this specific facility. Address: 376 Jalan Pudu, Kuala Lumpur, Malaysia. 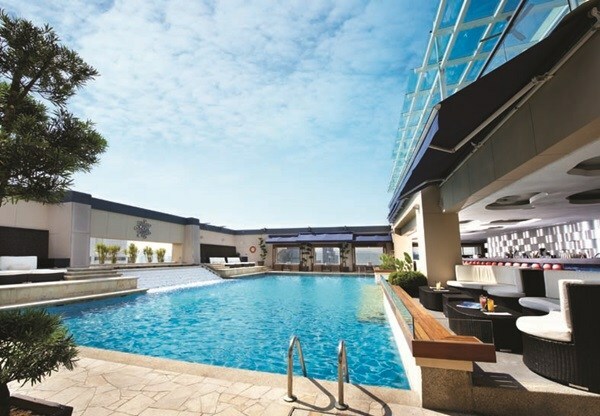 Subang’s very own infinity pool is located at e.City Hotel, a relatively new hotel in the area. 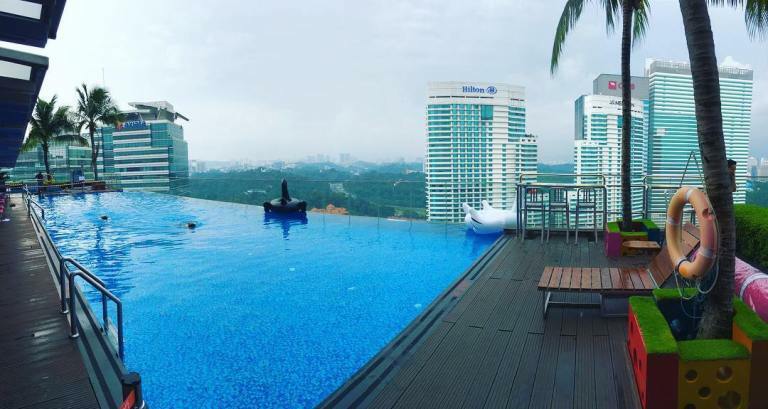 This infinity pool overlooks the beauty of Subang. It is also a good option for Subangites who wish to have a staycation away from home. 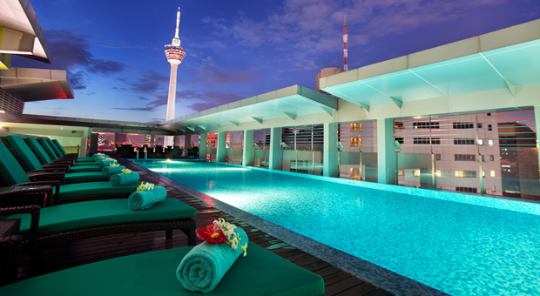 The rooftop infinity pool by Luna Bar Pacific Regency Hotel Suites is located high up on the 34th floor. Enjoy the beautiful scenery whilst dipping in the pool which is naturally salt chlorinated. The view from the Park Royal Hotels includes the KL Tower and KLCC and it doesn’t get more beautiful than that. The infinity pool on the 31st floor is also conveniently located near a two-unit outdoor jacuzzi as well as male and female steam rooms. Address: No. 1, Jalan Nagasari, Off Jalan Raja Chulan, Kuala Lumpur 50200, Malaysia. 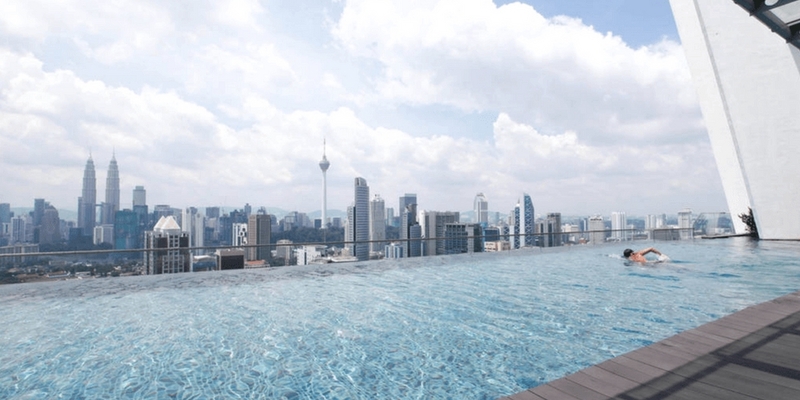 Regalia is a luxury serviced residence and it is regarded as an iconic landmark in KL. Only a short distance from the Putra World Trade Center (PWTC) and The Sunway Putra shopping mall, guests can enjoy the view of the city skyline by way of the 37th floor infinity pool. Address: No.2, Jalan Anjung Putra, Off Jalan Sultan Ismail, 50480 Kuala Lumpur. 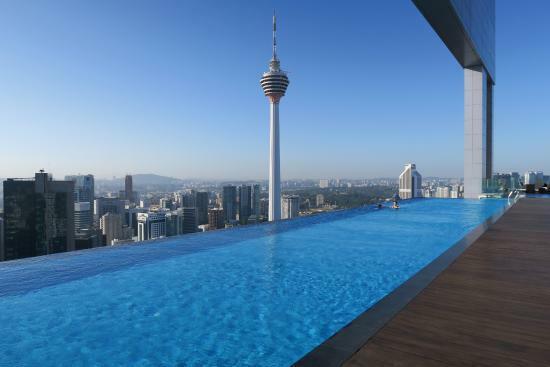 The infinity pool of Traders Hotel provides a view of the Petronas Twin Towers and the KL skyline. 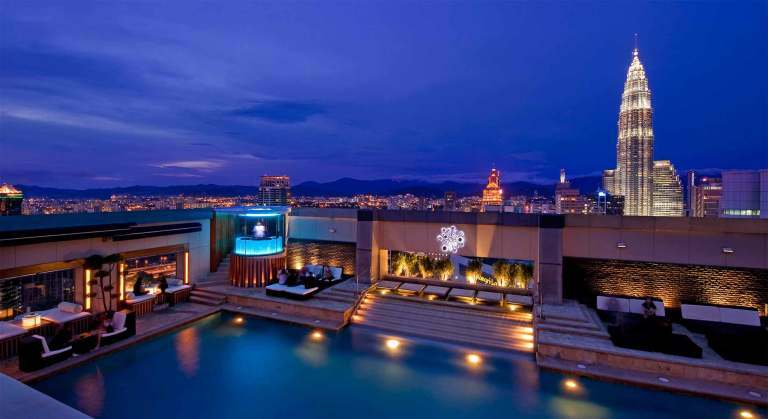 It is located on the 33rd floor of the hotel and it is actually part of the Sky Bar in Trader’s Hotel. Order up a drink as you chill poolside and enjoy the view ahead. Address: Traders Hotel, Kuala Lumpur City Centre, 50088, Malaysia. Somerset Ampang is located in a wonderful area to take a stroll in. 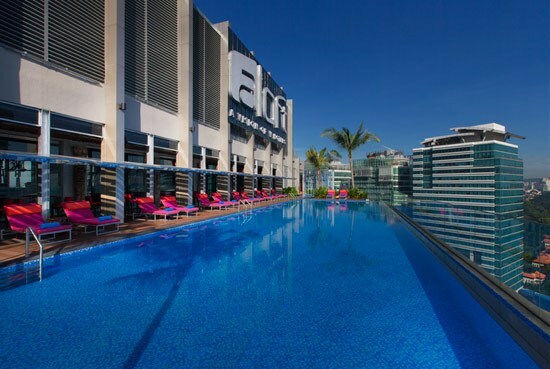 Lots of pre-war buildings are within the vicinity of Somerset Ampang but up above on the highest floor, you can enjoy an equally stunning view from the infinity pool. Address: No 187, Jalan Ampang, 50450, Kuala Lumpur, Malaysia. 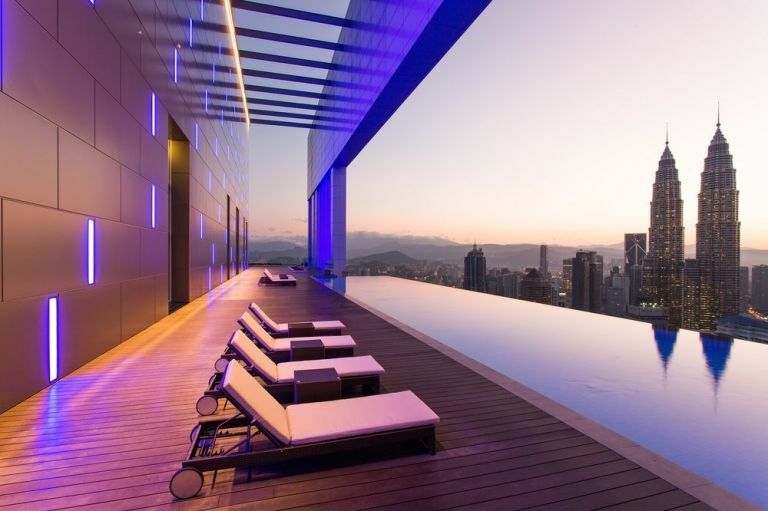 The Face Suites is located on the 51st floor of this building, making it one of the highest rooftop infinity pools in the city. It is also a lot longer, boasting 38m in length. Look straight ahead while you swim, and you would certainly be able to spot the majestic Petronas Twin Towers and KL Tower in the distance. Address: THE FACE Suites, 1020, Jalan Sultan Ismail, Bukit Bintang, 50250 Kuala Lumpur. 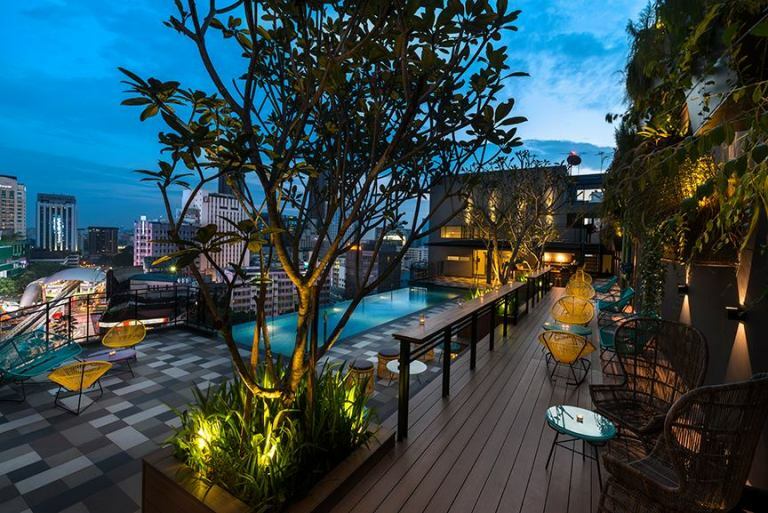 This boutique hotel is called The Kuala Lumpur Journal and staying here, you would certainly have a story to tell. 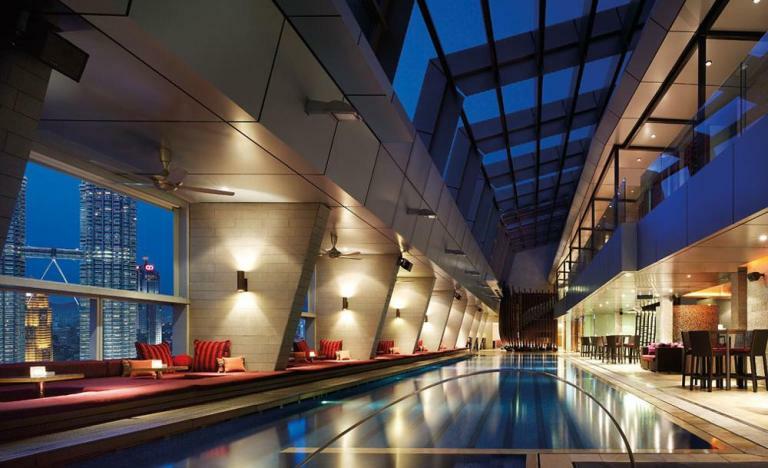 After all, it is equipped with the likes of an infinity pool, an alfresco beer garden, cafés and a fitness centre. They are also located in the Bukit Bintang area, making it an ideal spot for those who wish to shop till they drop! Menariknya..sangat sesuai for special occasion guys! As i said, Malaysia pun banyak lagi tempat menarik kan..macam-macam tempat ada..
All times are GMT+8. This page was generated at 02:02 AM.